Odour pollution is the second reason for citizens’ complaints after noise, across Europe. It has adverse impacts on human health since frequent exposure can lead to headaches, stress and respiratory problems. It is also an indicator of larger environmental issues such as poor waste management, polluted water, etc. Odour pollution is repeatedly ignored in environmental legislation with few studies conducted and scarce statistics available. 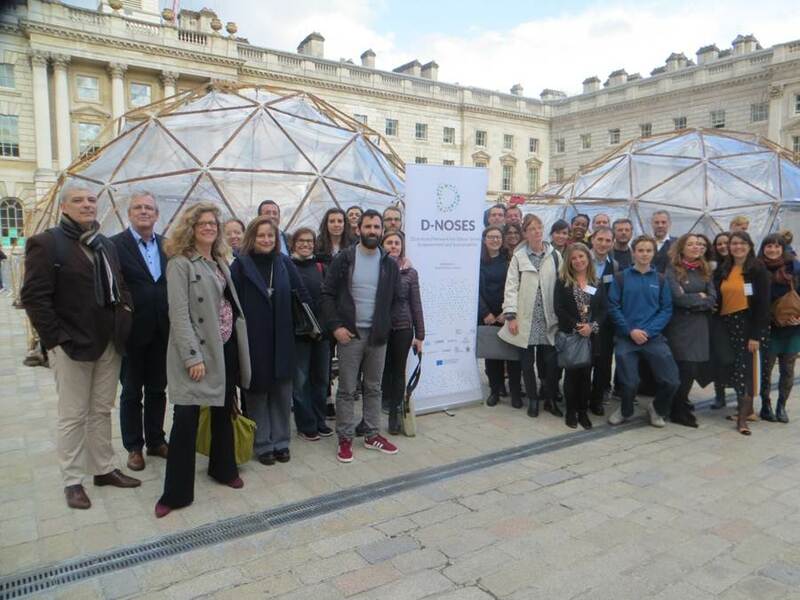 MIO-ECSDE is therefore proud to be a partner in the EU funded Distributed Network for Odour Sensing, Empowerment and Sustainability | D-NOSES project (Horizon 2020 specific programme with and for society (SWafA)). D-NOSES works towards the implementation of Rio Principle 10. It kicked off in London on 25-26 April, 2018 and will run till March 2021. The project consortium is comprised of 15 partners (combining experts in RRI, citizen science and co-creation, international associations, odor scientists, local administration and public bodies) from 9 countries. The overall budget is 3 million euros.